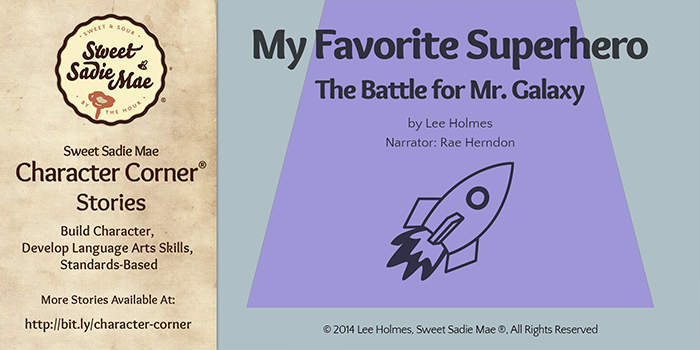 Enjoy this read aloud of "My Favorite Superhero, The Battle for Mr. Galaxy" an original story from our Sweet Sadie Mae Character Corner® platform. "My Favorite Superhero, The Battle for Mr. Galaxy" takes place around Halloween, and opens up the conversation about sharing and compromising. It’s part of our SSM What Would You Do?™ Volumes. Similar stories are available on our Character Corner platform. Please tell us what you think. Feel free to leave your thoughts in the comments.